This church is built of stone with a plastered facade. The rectangular nave is topped with a hipped gable roof. The tower on the west has a pyramid style roof. The current stone church, built in the later part of the 1100’s or early 1200’s, was preceded by a wooden structure of unknown appearance. This church likely began as a narrow nave. In the early 1300’s, expansion to the west was probably added with the porch on the south built during the late Middle Ages. During the 1400’s the church’s wooden barrel vault was replaced with a stellar vault in the chancel and cross vaults in the nave. After the Reformation the church fell to ruin, but in 1649 extensive repairs were undertaken. A bone chamber was built in the angle between the tower and porch and a new bell tower was erected. The old Romanesque tower collapsed in 1678, damaging the bone chamber and porch. Repairs to chamber and porch were made. 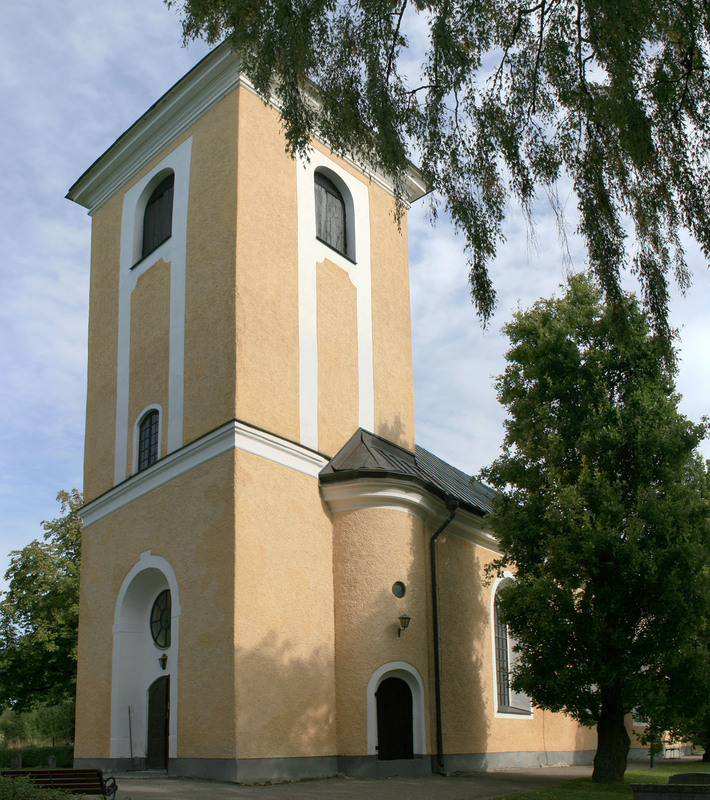 Between 1765 – 1769 the church was expanded because of local population growth. The old tower was demolished so the church could be extended west and a new tower built. A fire hit the village in 1771, jumping to the church which destroyed the roof and new tower. All three of the church bells melted from the heat. The interior survived to the greater extent including the pulpit. Since the 1770’s, the church’s appearance has remained relatively unchanged except for removal of the medieval porch in 1867. The existing windows were added during renovation in 1875. During restoration work in 1978 an old wine cellar was discovered beneath the choir which likely housed an earlier tomb.